TDX6802, and 1200 Infinite Amp. What type of enclosure should I use? Proper advice depends on many factors such as what you're aiming for, louder (ported) vs punchier (sealed) for instance, and were you planning on using the four subs together? probably not a good idea. Last edited by Colton; 12-20-2011 at 05:18 PM. Why do you say it's not a good idea? and what's the difference between Louder or Punchier? It can be described loosely as whether you prefer more hip-hop/rap (louder/boomy bass) or metal/rock (tight/'punchy'/responsive bass). Sealed is generally considered better for SQ while ported, being much more efficient but usually 'sloppier' is better for SPL. also, the size of woofer is a big factor in what sort of sound you're going to get; 10"s are generally tighter with increase in size (12"s/15"s etc) being more boomy. personally i listen to a broad range of music but mainly metal and hard rock.. so far my favourite sounding setup is dual 10"s ported; they have a pretty nice, tight response while still being able to crank up quite loud when the occasional dubstep/hip-hop comes on, and only being run off 300w @4ohm. As for the first question, the different subs probably have different impedence/power ratings/etc and it's just not a good idea to try mixing them, not to mention your amp would run a single set of them much nicer even assuming you were able to wire them all together without blowing something up. What model are the MTX's? and the Infinity amp? For what you have to work with it's hard to say what would work best.. Your amp is about half the power i would preferably run to either of them, the Alpines are real old and looking at your profile for metal i would probably go with the MTX 10's. With those though it looks like they work best with a huge enclosure, something like 4cu ft ported dual or 2cu ft single which probably isn't realistic. 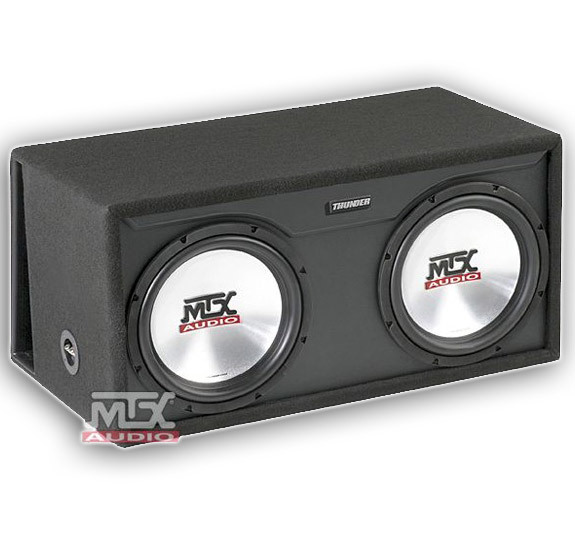 best bet without paying for a different setup i think would be to use one MTX in a sealed enclosure like this http://www.bassworx.com/hsr.html or as close to 0.75cu ft as you can get. oh okay i was assuming they didn't have an enclosure.. that box looks decent have you tried them with the Infinity amp yet? Gonna be going with the enclosure it already has then! What does electrical engineering have to do with enclosure design?